ABA announced today that Rob Engstrom has joined the organization as chief political strategist. The American Bankers Association announced today that Rob Engstrom has joined the organization as chief political strategist. 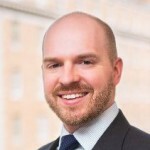 Engstrom will oversee the critical components of the association’s political engagement operations, including the Fund for Economic Growth, BankPac, grassroots activities and the ABA-State Association Alliance. 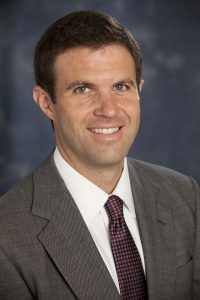 As SVP and national political director at the U.S. Chamber of Commerce, Engstrom has been directing the Chamber’s national political, grassroots and election-related activities, and oversaw an aggressive voter education campaign in 2014 that helped elect pro-business candidates to Congress. In 2016, Engstrom directed the largest and most sophisticated get-out-the-vote effort in the Chamber’s history, helping secure victories for 95 percent of its endorsed candidates. Engstrom is forming a consulting firm that will allow him to carry out his new ABA responsibilities while continuing to provide political direction to the Chamber.